A recent grad, eager to make his lasting mark on the world, walked into the Regional Planning Center. The office was buzzing with conversations about marketing strategies, expectations for different demographics, and target groups, and he breezed through the office until he finally arrived at his new supervisor’s desk. “So! You’re the newbie who the higher-ups say has great potential. Welcome to the Southern California Regional Planning Center! I’ve put you on the South Bay Team, focused on the Christian church. You’ll love it – the weather is great! And the food? Hope you like Japanese! Once you’re familiar with some of the key strategies, the people here are quite easy to deceive … oh, I should say, reorient. Everything is so PC nowadays. “Your arrival is actually timed perfectly – we’re right in the middle of putting the final touches on our newest marketing strategy for November. We want to start growing unthankful hearts in people … and when they realize what kind of heart they have, they’ll feel guilty knowing that it’s Thanksgiving season! Double whammy. “If you want to understand the South Bay, you need to understand the people here. First, know that people here are driven – even if they seem laid back. Lots of things drive people – but here, you’ll mostly see similar things. People here want to be seen, and they want to have the latest and newest things. It might not be as extreme as what the Santa Monica and Beverly Hills teams see, but it’s still here. The majority of people in the South Bay are generally more conservative – they’re driven more by fear. Fear of falling behind. Fear of missing out. Fear of losing the image that they have everything under control. “We want them to keep caring about what others think of them. We want them to live in fear of one another. “Look, kid – you’ve got to know that it’s fear that keeps them up at night. They fear their kid is falling behind even though he’s already a grade level ahead in reading and they have a private tutor. They fear about not having enough even though they make over six figures annually. They fear not being able to provide for all the luxurious vacation experiences like those around them, so they work and work and work. They fear not being able to keep up. “We want them to think of the nicer zip codes to live in, of cars with gull wing doors. We want them to find security in their growing savings accounts – remember, though, keep money in and not out because then it means God can’t use it. “And to keep them stuck here, we put all these things in the wrapping paper of safety – it’s a good investment, I’m doing this to help my children, or this is just God’s blessing to me – when really, this is all just growing discontentment in their already unthankful hearts. “Unfortunately, we can’t take all the credit for this spike in increased discontentment over the past few years (thanks Instagram!). We want these South Bay believers to miss out on the big and little joys of life. When they are blind to seeing what they have in front of them, that’s a great recipe for an unthankful heart! Right where we want them! “And the best part is keep them moving. Be like an aerobics instructor … sorry, dating myself, I mean, keep them moving like a Cross Fit instructor. Keep them busy. Don’t give them a break. Don’t let them slow down. Make them so tired that at the end of the day they don’t have time to reflect. Don’t give them time to pray, make their week so busy that they won’t have time for church. “We can’t have them going to church, or praying… when their eyes and hearts are focused on the One … you know, God’s So- oh, you know who I’m talking about. This will ruin all our hard work. Speechless, the recent grad shook his supervisor’s hand. He was overwhelmed at how he could be useful to his supervisor and ultimately to his Master. So much potential in the South Bay area to keep these believers unthankful. 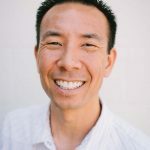 Gavin Kajikawa oversees Lighthouse’s Evangelism and Missions Ministries. He considers himself blessed to be part of a church that loves Jesus Christ and strives to live by faith, not by sight. His passion in ministry is to help others see Christ more clearly through his life. A man of diverse interests, Gavin enjoys photography, playing soccer, fly fishing, and rooting for the Lakers. Gavin is also richly blessed by his wife Lorraine and their daughters Brielle and Joylyn. Megan serves as Lighthouse’s church administrator. She appreciates the humility of the Lighthouse elders and staff as they lead the church. Megan also volunteers in Children’s Ministry and youth group, and she loves getting to know the families of the church through that. In her spare time, she enjoys reading, sleeping, traveling around the world, eating delicious food and debating with the staff over what constitutes such delicious food. 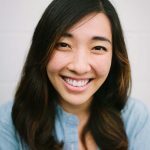 Megan is happily married to our very own youth pastor, Eric Cai!